Westlife has released their greatest hits album ahead of their last tour and have revealed that now that their 2012 split has been announced, they are back to enjoying their life in the group. The band, who appeared on shopping channel QVC to promote the album, feel a weight has been lifted now they're calling time after 14 years. The band mates Nicky Byrne, Kian Egan, Mark Feehily, and Shane Filan, said that they were looking forward to showing the world that there was more to them than bar stools and ballads. "We were all so worried and passionate about making the right choices it created a big ball of stress and that's gone now. 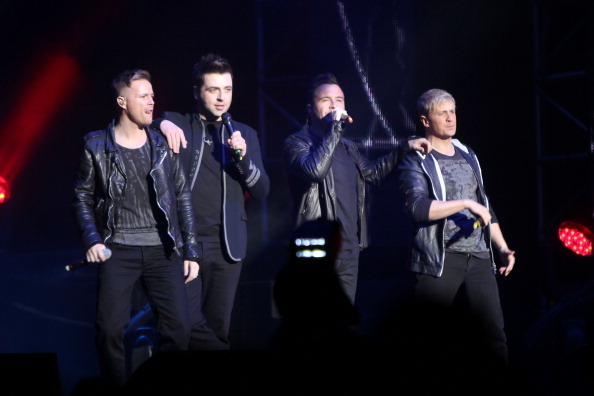 We're back to enjoying life in Westlife instead of having this big cloud of pressure over us," the Daily Express quoted Mark as saying. "I don't think we'll deal with the enormity of what we've done until it actually happens. We're loving riding the wave at the moment but it's because it's the end and we know that," Byrne was quoted as saying. Shane Filan revealed that the split had been on the cards for some time. "We tried changing labels in April from Syco to RCA when the cracks were showing to see if that would change anything," Filan said. "Nothing against RCA but the writing was on the wall even then. The Greatest Hits was happening this year anyway and it was getting harder to run the shop properly so we thought, let's man up and knock it on the head," he added.